Munich – Sometimes the result alone is not what determines the mood of the coach, as Matchday 11 showed with some happy gaffers, in spite of negative results. 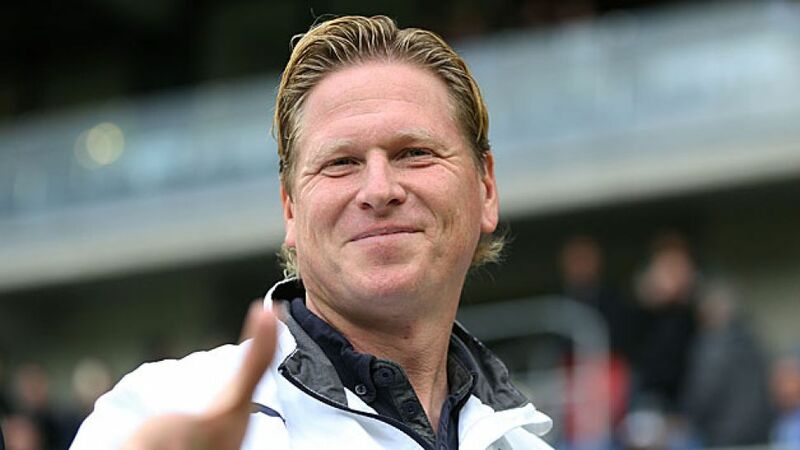 Markus Gisdol (Hoffenheim head coach): Our plan worked. We wanted to test Bayern’s nerves and we managed to cause them real problems once or twice. We gave it all we had. In the end, all we’ve gained is respect, but no points. Pep Guardiola (Bayern head coach): Hoffenheim played really well. It was hard to win here and that’s always been the case for Bayern in the past in Sinsheim. It wasn’t our best performance, but we won. I’m happy. Jos Luhukay (Hertha Berlin head coach): This defeat feels really bad because we played well over the 90 minutes. After the break, we should have scored, but we just didn’t have luck on our side. It’s particularly disappointing for us because we tried everything. We’ve got to bounce back from this as quickly as possible. Jens Keller (Schalke head coach): We’re really pleased that we took the lead from a set-piece because there has been a lot of talk about that [Schalke conceding from set pieces] in recent weeks. We fought for every ball and we can take a lot of strength out of this defensive performance. We were united as a team and are really pleased with this win. Jürgen Klopp (Borussia Dortmund head coach): Before they made it 1-0, we should have been 2-0 up already. We lacked a cutting edge to begin with, but after we levelled, we clicked into gear. We had a momentary lapse in concentration, but then we quickly switched ourselves on. Thomas Schneider (VfB Stuttgart head coach): It was a tough game, and in the end, we deserved to lose, even by such a margin. You need to have a perfect day to beat Dortmund right now and we didn’t have that. Robin Dutt (Bremen head coach): A huge weight has been lifted from our shoulders. We had a great battling mentality, the team has been working hard all week, and this was their reward today. Mirko Slomka (Hannover head coach): We were punished for committing too many fouls and that played into Bremen’s hands. They made it 3-2 from a set piece; it's a frustrating defeat. Markus Weinzierl (Augsburg head coach): It was nerve-racking stuff at the end and that’s because of the way things have gone in recent weeks when we kept conceding goals late on. But we played a sensational first half. Thomas Tuchel (Mainz head coach): We wanted to take at least a point away with us and we’ve not done that, so we’re very disappointed. Armin Veh (Frankfurt head coach): We could have and probably should have taken the lead. Conceding certainly didn’t help us. Given the situation we’re in, we’re all a bit tense when we have the ball. We’re in a situation we didn’t want to be in. Dieter Hecking (Wolfsburg head coach): I’m really pleased that we won. We played a fantastic first half-hour. It was more of a battle in the second half, but we never really came under the kind of pressure Frankfurt maybe thought they had put us under.